Kills 99.99% of most common germs in as little as 15 seconds without water or towels. Dermatologically tested by dermatologists. Dye-free. Sanitary, sealed refill bags are easy to load and come with a fresh valve to prevent clogging and leaking. Alcohol-based gel (complies with EN 1040, pr EN 12054 & EN 1275 against Candida Albicans & EN 1500. Effective against rotaviruses according to NFT 72-180). PURELL Instant Hand Santitizer kills 99.99% of most common germs that may cause illness in as little as 15 seconds. Experts know that about 80% of common infections are spread by hands. PURELL Instant Hand Sanitizer is a convenient way to kill germs on hands anytime, anyplace. 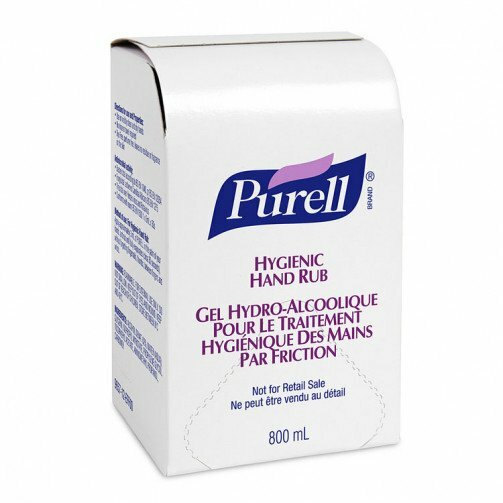 The PURELL Instant Hand Sanitizer contains a quick-acting antimicrobial agent. Purell Instant Hand Sanitizer can also be used as a supplement to handwashing compliance programs to help maximize results.